Welcome back to the Muslim Converts Channel! The people who surrounded the Prophet (s) consisted of many people. They included his direct enemies, and among his companions, were honest and sincere friends and helpers. Not all his companions were good as a number of them were hypocrites at heart. The general term that encompasses the concept of a companion in Arabic is sahabi (pl. sahaba). 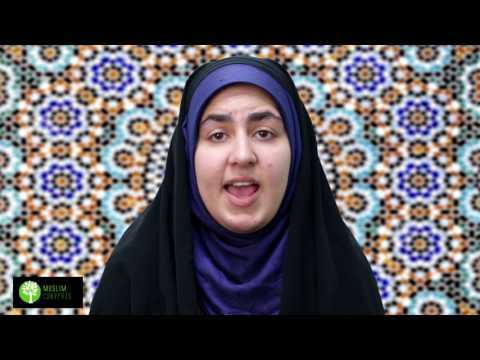 In this lesson, we’re going to briefly look at the meaning of the term as well as the role it plays in differentiating the two major sects of Islam, Sunni Islam and Shia Islam. The verses show that some of these companions were reluctant, or all together rejected defending the Prophet. It also sheds doubt on their long-term loyalty. We all know that many of the companions of the Prophet Musa (as) (Moses) had left his religion after he left his community for 40 days. Most of his companions left monotheism altogether and began worshiping a golden calf they made out of jewelry. The idea of the unfaithful companion is therefore nothing new to the Qur’an, in fact, it seems to be the majority description of the Prophet's companions. And the people of Moses made, after [his departure], from their ornaments a calf - an image having a lowing sound. Did they not see that it could neither speak to them nor guide them to a way? They took it [for worship], and they were wrongdoers. And when regret overcame them and they saw that they had gone astray, they said, "If our Lord does not have mercy upon us and forgive us, we will surely be among the losers." The story is a clear cut example of a whole community going astray after the departure of a Prophet. Yet one of the major disagreements between the two largest sects of Islam, the Shia and the Sunni, is precisely the status of the companions. For most Sunnis, being a companion of the Prophet (s) automatically makes a person good, faithful and just. This was the opinion of many Sunni scholars of hadith, including Abu Hatim al-Razi (d. 890), the great 10th century Sunni scholar of ilm al-rijal (ilm al-rijal is the science of assessing hadith transmitters). We leave it to our listeners and readers to determine what position is right. According to the Qur’an, are all sahaba good? No, the Qur’an is critical of many of the Prophet’s companions and casts doubt on their long term loyalty to Islam and monotheism. Yes, a good example are the companions of Musa (as) who worshiped a calf after he went away for 40 days. A sahabi is a companion, a muttabiʿ is a faithful follower of the Prophet (s). A companion can be good or bad, but a muttabiʿ is always good. Because they either converted to Islam based on the belief they would get worldly gains, or because they were spies for the enemies of Islam.